Wendy’s announced today that, in a move to help its franchisees deal with rising costs resulting from minimum wage increases, it would make available digital self-service kiosks to its more than 6,000 locations, allowing business owners to reduce employee counts and protect earnings. Although this should come as no surprise to anyone who is even remotely familiar with economics, I’ve seen a lot of folks around the Internet talking about Wendy’s corporate profits; about the executive and board of directors. This demonstrates a total lack of understanding about how a business like Wendy’s structures is franchise agreements. It occurred to me that, just as I once explained what a holding company is, how it is structured, and why it is valuable in certain circumstances, it might be beneficial to do the same thing for a franchise. What is a franchise? What are some standard franchise agreement terms and rates? How are franchises legally structured? I have about an hour before dinner, just brewed a fresh pot of coffee, and am in the teaching mood so for those of you who are unfamiliar with this unique business model, allow me to introduce it to you. The best place to start is the title of this essay: What is a franchise? Since it was Wendy’s news story that inspired me to write this article, we’ll start by looking at the Wendy’s franchise system first. For the right operator, in the right location, with the right set of conditions, owning a Wendy’s restaurant can be a wonderfully profitable opportunity. Essentially, he or she (for the sake of brevity, for the remainder of this piece, I’m going to use “he” as a majority of franchise owners have historically been men) gets to plug directly into a system instead of having to invent the wheel from scratch – the furniture is standard, the signage is standard, the equipment is standard, the supplies such as cups and bags are standard, the building design is standard, and the moment he hangs up his sign, he has instant brand recognition. People who didn’t even know he was in business the day before will walk in, or drive through, his restaurant, handing over cash and credit cards to buy Wendy’s old fashion hamburgers and fries, a Wendy’s famous chili, or a Wendy’s Frosty, all but guaranteeing seven-figures in annual revenue straight out of the gate under most scenarios. That is because Wendy’s has been building its reputation for generations. His job, as the person owning and operating the individual restaurant, is to run it as efficiently as he can because he gets to keep the profit. Wendy’s benefits from this arrangement, too. In effect, they are given enormous synthetic equity. The franchisee has to put up all of the money, including cash and proceeds from bank loans, to get the restaurant built, staffed, and operating with start-up working capital, plus pay a one-time franchising fee of $40,000, which covers a 20-year franchise term (after which point, either a new contract is signed or the restaurant goes out of business), a $5,000 application fee, and some other fees, including a $325 per person background check fee. On top of this, Wendy’s, as the franchisor, is entitled to a 4% royalty on all sales generated at the franchisee’s restaurant. Wendy’s also requires the franchisee to put 3.5% of sales into a national advertising budget that pays for things like television commercials, as well as 0.5% of sales into a local advertising budget that promotes the restaurant in the city or town where it is located. Furthermore, the franchisee agrees to let Wendy’s control things related to the brand experience. A Wendy’s franchisee, for example, could not suddenly decide to start selling crab cakes by going to the local supermarket and buying crab, marking it up, and adding it to the menu. In terms of franchisor profitability and total number of franchise millionaires spawned, the world’s leading franchisor, McDonald’s Corporation, has a unique twist on the franchising business model (the parent company of Subway, the sandwich shop chain, has more franchised locations). The idea was developed by one of the triumvirate in the McDonald’s pantheon, Harry Sonneborn. Back when the company was cash-strapped, Sonneborn created a model that involved McDonald’s leasing a plot of land and custom-constructed building from a real estate owner, then sub-leasing that land and building to the franchisee so, in addition to the food royalties the franchisee paid, the real estate lease income was flowing to McDonald’s, as well. This has led to the oft-observed phenomenon of McDonald’s really being a real estate empire in drag. By some accounts, McDonald’s is the largest landowner in the world. These days, of course, it is so wealthy that it doesn’t need to bother with the original lease. Instead, it can buy the land outright, develop it for the franchisee, then keep all of the rental income instead of paying the original lease holder. Would-be franchisees still flock to the place, hoping to get their own restaurant, because even with the 4% service fee on sales of food and beverage, and the rent, and the ancillary fees, one of the surest ways to end up a member of the top 1% is to own a few McDonald’s restaurants in a market. Similar to the owners of Coca-Cola bottling rights, the local McDonald’s franchisee is almost always one of the richest folks in town. The franchise system is the reason when you walk into most Wendy’s, McDonald’s, you can normally spot a sign that says something like, “This restaurant proudly owned and operated by Smith Family Hamburgers, LLC”. That is the actual business from which you are buying your food. It is most likely a local person who has setup his local business as a limited liability company. He had to fund it with his own money, get bank loans, sign an agreement with the franchisor, hire employees, including managers, train them, oversee the whole thing, and, he hopes, generate more revenue than he does expenses so there is a profit remaining for him taking such a large risk. He has the power to set prices and, within reason and in many cases, hours. It’s his company. As long as he abides by the terms of his franchise agreement contract, the franchise cannot be taken away from him. (Even if it is, that business remains, it just can’t operate using the franchisor’s intellectual property and name. If a franchisee’s company had built up something like $3 million worth of Treasury bills, that money isn’t going anywhere. They could transform themselves into a real estate development firm or go build an apartment building or something. There are cases of franchisors not renewing franchise agreement with franchisees when the terms expire, in which case they had to figure out something else to do.) There are some cases of franchisee companies becoming so successful that they go public, selling part of themselves in an IPO to either provide liquidity for the founders or raise even more capital to open even more franchised restaurants. In the case of automation, Wendy’s, the franchisor, is making available the technology and processes for automation to its franchisees because it believes it will allow them to run their business more efficiently. If minimum wage costs go up to $15 an hour, it can devastate the profits of the franchisee’s business, the LLC that is the actual operating restaurant owned by the local entrepreneur. If that entrepreneur raises prices to offset those costs, and sales remain steady (enough people stick around at the higher prices to offset the lower unit volume assuming there was a loss of traffic), Wendy’s is still collecting the same absolute dollars due to its royalty rights. However, it wants the franchisees to be as successful as it can. It also wants to keep costs low for customers. It can serve both by replacing those would-have-earned-$15 employees with a kiosk. That’s not all. Even better from a customer satisfaction point of view – not particularly important from my perspective as I think it’s a horrible thing for civilization, all things considered – there seems to be a lot of indication that millennials prefer ordering online or at a machine so they don’t have to talk to a human. Retail franchise businesses include everything from nutrition supplement stores such as GNC and Complete Nutrition to home improvement stores such as Ace Hardware (Ace is unique in that not only is it a franchised business, but the franchisees collectively own the franchisor so they make money on their share of its earnings, too); furniture and electronic rental places such as Aaron’s and Rent-A-Center; 7-Eleven convenience stores an BP gas stations; Supercuts hair salons and Anytime Fitness gyms. Hotel franchise businesses include such well-known chains as Hampton Inn, Days Inn, Holiday Inn, Super 8, Motel 6, Hilton, Dubletree, Homewood Suites, Embassy Suites, Wyndham, Ramada, Travelodge, Ritz Carlton, and Comfort Inn and Suites. Financial and business services franchise companies include Allstate insurance agencies, H&R block tax locations, American Title Loan lenders, and Express Employment staffing centers; Re/Max and Coldwell Banker real estate brokerages; Hertz Rent-a-Car. Home services franchises include things like Rooter-Man plumbing, Molly Maid cleaning, and Servpro disaster recovery services. The list of franchise businesses keeps going… car repair operations, hearing aid providers, locksmiths, daycare and child education centers, eyeglass shops, cigar stores, tanning salons, moving services, tutoring, landscape maintenance. Franchising is a major part of the American economy, which is one of the reason the recent National Labor Board ruling declaring that franchisors are responsible for things such as the payroll policies of franchisees is such a big deal, threatening the entire business model. Personally, I don’t think the ruling survives long-term. There is too much money and power at stake, and too many vested players, to permit it. If it does, you will see mass automation rolled out on a scale that would make Henry Ford’s head spin. The insurance industry is already looking at the implications for franchise liability under the new paradigm. McDonald’s is already challenging it in court which, if it doesn’t survive, the Democrats and Republicans in Congress will come together to create some sort of joint bill rescinding it, if not outright, in effect. Franchising is all about pairing up existing systems and brand equity with local operators who have capital, creating an arrangement where both, ideally, come out better than they were. One of the major innovations of Ray Kroc at McDonald’s was the alignment of incentives with franchisees. While other franchisors made money by selling things like kitchen equipment, cups, straws, uniforms, etc. to franchisees, Kroc refused. Instead, he had McDonald’s identify the best vendors for the job then let the franchisee select from among the vendor list, making no money off of it. 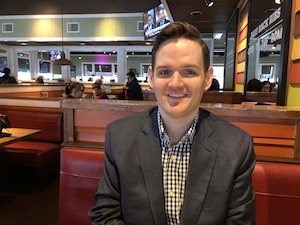 He wanted them both focused on the same thing – growing sales at the restaurant – because he knew it gave them a chance to generate more profit and his franchisor company, McDonald’s, collecting more royalties. Everything else was a distraction and threatened the partnership-like spirit of what he wanted. His competitors thought he was a bit nuts to turn down what they saw a lucrative source of free money but Kroc turned out to be right in the end. He and his franchisees steamrolled across the country, then world, out-competing everybody. Even today, though, not all franchisees have gotten the memo. With only a few exceptions, I’d be careful about getting into a franchise arrangement where I wasn’t on the same side of the table as the franchisor. One of the interesting things about franchising is that, all else equal, franchise stores, restaurants, or locations tend to outperform company-owned stores, restaurants, or locations. This is because of the superpower of incentive. When you have a local owner operator living in the community, working alongside his employees, seeing the customer day-in and day-out, and who gets to keep all of the surplus performance above the fixed expenses and royalty fees, miraculously things can happen. Put the same restaurants in the hands of a salaried employee, even with certain profit sharing arrangements, and it’s never quite as successful. Even still, some brands insist upon total control. Starbucks is one of them. With the exception of some foreign accounts and things like domestic Barnes & Noble locations, Starbucks is entirely company-owned. You cannot open a Starbucks franchise. The same goes for Chipotle. This means that they keep 100% of the earnings, though, and not just fees and royalties. It’s a trade-off. Neither is right or wrong. It does take a lot longer to grow using the company-owned philosophy because it demands a lot more reinvested equity whereas a franchise-only model is effectively a license to print unrestricted money that can be distributed. On the other hand, the franchise-only model suffers from all kinds of challenges. A bad franchisee can ruin the brand’s reputation in a market or band together with other franchisees to challenge the franchisor, which is a distraction. Exclusivity is something you want when operating a franchisor. The last thing you need is a bunch of poor operators out there destroying the name you’ve built. One of the biggest problems with franchises is that they can be extremely difficult to turn around if something goes wrong, especially if expansion was too rapid and low-quality franchisees were brought into the mix. They are also not accessible to everyone as the best franchises typically require a much larger-than-average net worth, of which a significant portion must be in cash. For example, Wendy’s requires a net worth of $5,000,000 or more of which at least $2,000,000 must be liquid. McDonald’s, in comparison, has its own net worth requirements aside from which it requires the owner / operators of a new McDonald’s franchise to pay at least 40% cash out of their own pocket for the opening of a new restaurant. With the cost of a new restaurant ranging between $944,352 to $2,172,045, that’s a nice chunk of change. (McDonald’s is quite wise for insisting upon this. By allowing only 60%, maximum, to be financed from traditional sources, it can help ensure the financial stability of the franchisee’s operating company so it doesn’t have to worry about it running into financial trouble due to a highly speculative capital structure.) On the other hand, financing can be a lot easier to come by. There are many specialty lenders who jump at the chance to help those awarded a McDonald’s franchise borrow money as they know McDonald’s standards are high enough, and real estate location policies strict enough, that failure is relatively rare, reducing underwriting risk. Additionally, when a franchisee goes to retire, it’s much easier to sell a portfolio of McDonald’s franchise businesses than it is your own stand-alone restaurants as there are plenty of new want-to-become franchise owners, and existing would-like-to-buy-more location franchise owners, waiting for the chance to snap up profitable locations.